This entry was posted in Dino Park, Dinosaur Facts, Videos on May 11, 2015 by Daddy Donut. DINO PARK Teaser – Fun Dinosaur Facts for Kids. I’m excited to announce that I will be producing a whole series of short programmes for my Youtube channel starting May 2015. It’s called ‘Dino Park’ and each episode will feature fun dinosaur facts for kids filmed at ‘A World of Dinosaurs Adventure Park‘ in Sweden. I’ve only produced the intro clip so far. Check it out! This entry was posted in Dino Park, Dinosaurs, Videos on May 1, 2015 by Daddy Donut. Here is a new dinosaur music video I think you and your kids will enjoy. It’s for the song ‘Dino Blues’ off the album ‘Dinosaur Songs’. It is set in a doll’s house. One morning the owner wakes up to find that a long-necked brachiosaurus is in the house. The dinosaur makes himself at home… and he’s hungry. Here is the new music video from ‘Dinosaur Songs’: Dino Blues – Dino Doll’s House Video. Here are some fun facts about the making of the video. The doll’s house and the furniture used in ‘Dino Blues’ is from Lundby which is a Swedish company. The Lundby doll’s houses have been around since the 1940:s and I actually had a doll’s house similar to the one used in the video when I was a kid. I loved playing with it, but I often let my Masters of the Universe dolls invade the house. There were struggles between Skeletor and He-Man where they turned turned everything upside down it the perfect looking home. Perhaps that’s where I got the idea for this dino video. In 2014 I was on tour with my Dinosaur Live show and I didn’t have much time over for making videos. This years there are not so many live shows for kids so I plan to focus more on producing fun youtube videos for children. I hope you will like this video. Please share and subscribe to my Youtube channel. This entry was posted in Music videos on March 2, 2015 by Daddy Donut. Order Dinosaur Songs on CD! Finally! 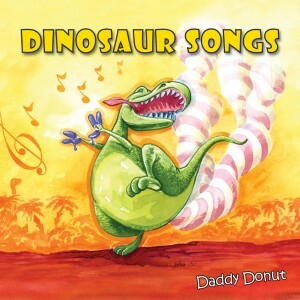 ‘Dinosaur Songs’ (possibly the best kid’s album ever) is available on CD from CD Baby. Worldwide distribution. Order your copy of ‘Dinosaur Songs’ now! Choosing CD Baby as the distributor was fairly easy. So many artists before me seems to have great sucess with them. However, it took me a while to print the CD’s and get everything in order for the release. Today I am pleased to announced that today you can order your physical copy of Dinosaur Songs directly from CD Baby. Get it so you can listen to ‘Running from a T-rex’ and ‘Tyrannosaurus Rex’ in your car. Enjoy! Get your copy of Dinosaur Songs here! Listen to the kids shout: Finally! Dinosaur Songs on CD! This entry was posted in Dinosaur Songs, Dinosaurs, Music and tagged CD Baby, cd distribution, cdbaby, dino music, dinosaur songs, dinosaurs songs on cd on June 21, 2014 by Daddy Donut. 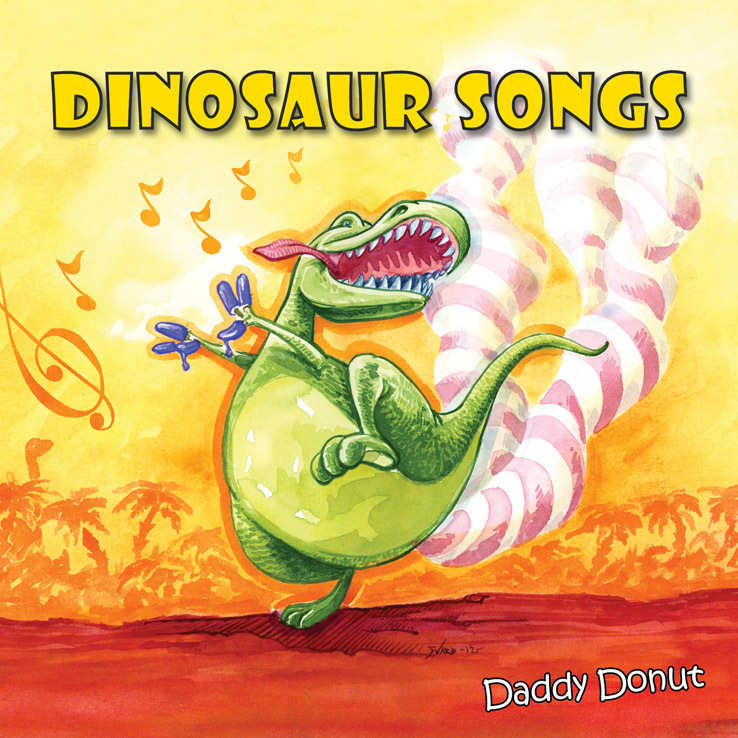 “Dinosaur Songs” by Daddy Donut is now available on CD. The first retailer is the Science Museum of Minnesota. This year they have an ehibition called “Ultimate Dinosaurs”. Cool! Wish I could go over there and see it. The CD is sold in the Explore Store at the museum. A selection of songs from the Dinosaur Songs CD are also played in the museum theater before every showing of the “Dinosaurs Alive” Imax film. Visit the website of the Museum and read about the dinosaur exhibition. This entry was posted in Uncategorized on April 25, 2014 by Daddy Donut. I’m proud to presents the first lesson in my language course SWEDISH FOR BEGINNERS (and silly people). Now you have the chance to learn a bit of Swedish in a fun and simple way. The footage for this first episode was filmed during the summer of 2013 when I was visited by my dear friend Mr. America from America. He agreed to be my guest and together we improvised and ended up with a bunch of clips. In this first lesson you will learn how to order a sausage in Swedish. Good luck with your Swedish! This entry was posted in Videos on January 31, 2014 by Daddy Donut. This entry was posted in Videos on January 29, 2014 by Daddy Donut. 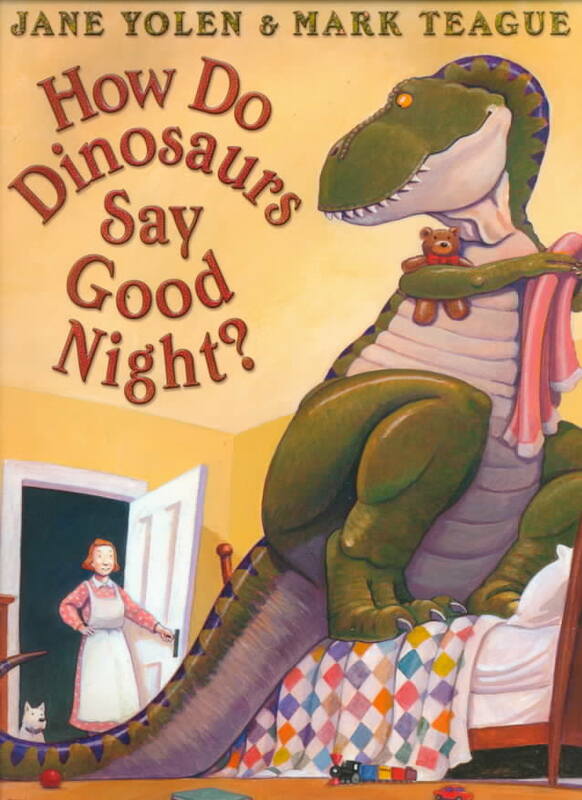 I found this great book for kids online called “How do dinosaurs say good night?”. It’s about how dinosaurs say goodnight and I’m sure kids love it. Listen and watch this clip – it’s the whole book! However it’s a very speedy version but you get a feel for what it’s like and you get to see the all these nice dinosaur illustrations. ‘How does a dinosaur say good night when Papa comes in to turn off the light? Great stuff. It’s got lots of detail and humor and I’m sure children and their parents will love this bedtimes story about the eleven different dinosaur children depicted here. It seems young dinosaurs are much like human kids: They give a big kiss, turn out the light, tuck in their tails, and whisper “good night.” Hmmm. Very well-behaved dinosaurs I would say. There is an audio version as well. I love audiobooks! This entry was posted in Dinosaur Books, Dinosaur clip, Dinosaur Fun, Dinosaurs on January 20, 2014 by Daddy Donut. I’ve recorded a new dinosaur music video. This time it’s for ‘Dino Blues’, a song describing a strange day when I woke up and there was a dinosaur at my door. It was my first pet dinosaur and it wasn’t long before it began tearing up the house. To shoot the video I borrowed a dollhouse from the seven-year-old girl of one of my friends. 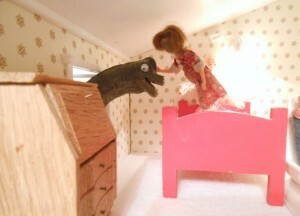 They were going away on vacation to Thailand so I had plenty of time to play around with the dinosaurs in the dollhouse. But I procrastinated too long and one day I got a text message saying they were on their way home and that the girl wanted her dollhouse back right away. I only had about two hours to scramble, set everything up and shoot the video. I was angry with myself because I had imagined taking a whole day filming and doing it right. But then, my other videos for kids have been done very much on the spur of the moment and they turned out all right. Anyway, I got all the scenes I wanted, but afterwards I was dissapointed to see that one of the best scenes I shot never got filmed. It was a brachiousaurs munching on a Christmas tree, flipping it over, banging a door open to reveal the terrified owner of the house and then just pulling the Christmas tree out of the door. I must have hit pause when I was supposed to hit the record button (it’s the same button). Well, well. That’s how it goes when you are making kids music videos Daddy Donut style. Just grab the camera and go! I hope to get some time to edit the music video for ‘Dino Blues’ soon. It’s gonna be so much fun and I can’t wait to let you kids watch it. This entry was posted in Dinosaur Songs, Dinosaurs, Kids music, Music videos, Videos and tagged dino blues, dinosaur music video, dinosaur songs, kids, music video, toy dinosaurs, videos for kids on January 17, 2014 by Daddy Donut. A group of Swedish scientist have found out which color dinosaurs actually had. In a new study, Johan Lindgren of Sweden’s Lund University (where Daddy Donut once studied!) and colleagues tried to investigate what color the ancient sea creatures had. They were interested in the colors of extinct marine giants like ichthyosaurs, the mosasaur Tylosaurus, and an extinct leatherback turtle. “The most sensational aspect of the study is that it can now be established that the analyzed ancient marine reptiles were, at least partially, dark-colored in life,” Lindgren said. This entry was posted in Uncategorized on January 15, 2014 by Daddy Donut.